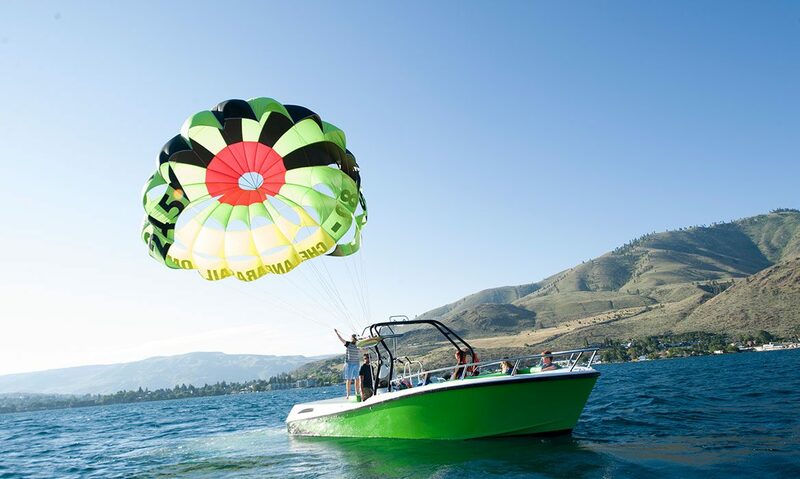 Chelan Parasail & Watersports was Washington State’s first parasail company and has been operating for more than 26 years with a perfect safety record. Our highly-trained team will prepare you before you take flight. 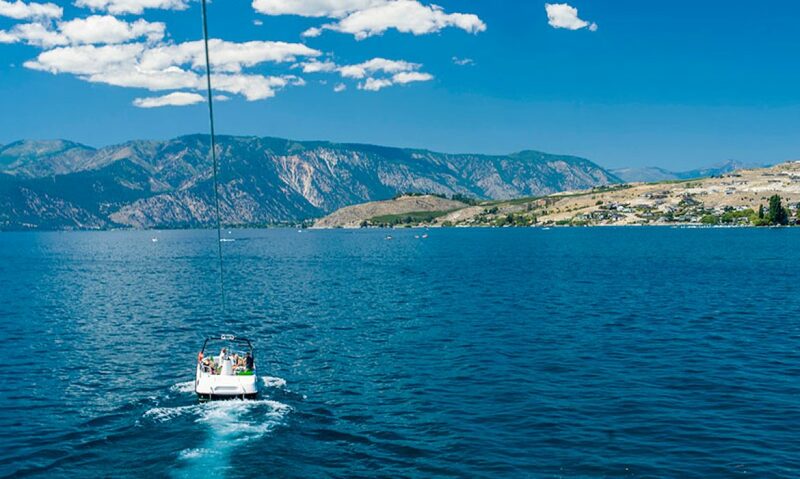 As we reel you out on our 800-foot line, you can relax and enjoy the panoramic beauty of Lake Chelan. 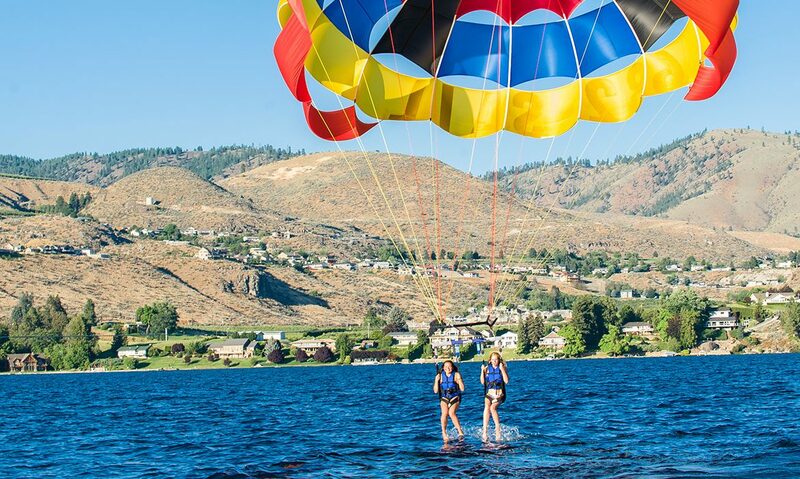 Lake Chelan parasailing is fun for the whole family. 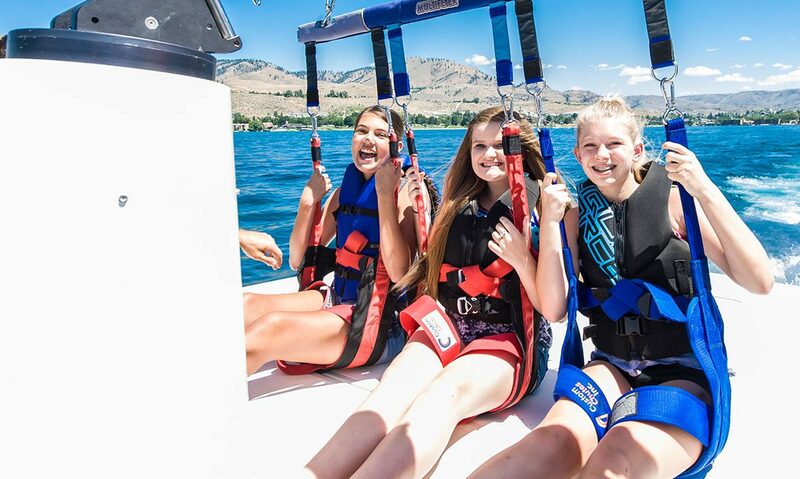 For customer safety, we cannot allow children under five years old aboard the parasail boat. You will take off right from the boat and land directly back on the boat. It is up to you to decide if you want to dip your toes in the water. We can capture your individual excursion with our photo package. Minimum weight 225lbs. max weight 475lbs. 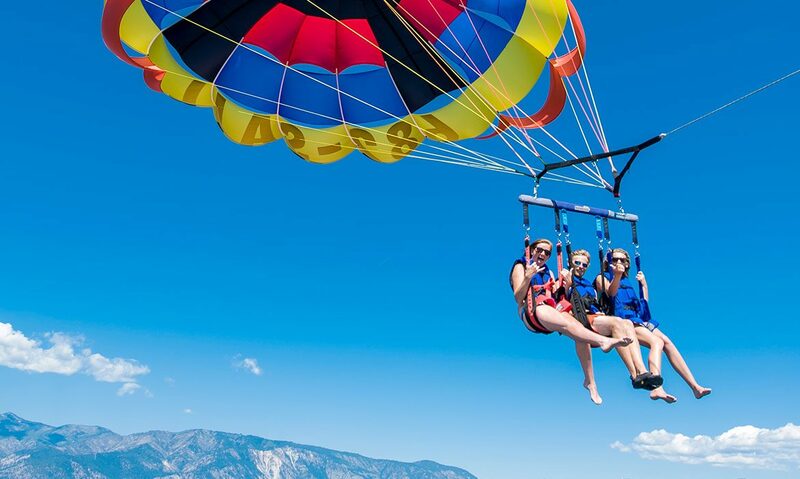 We can fly 1,2 or 3 people at a time depending on wind conditions. Purchase our photo package to capture your flight to show your friends and family! You will receive an SD card immediately after your flight holding over 75 photos of your adventure! Non-flyers. We are happy to accommodate non-flyers as a rider for $17 per rider. Please ask when checking in as flyers take precedence on board. Don’t wait until your last day of vacation. All Flights depend on weather and the wind so book your flight at the beginning of your vacation. Any time before 2 pm has less chance of cancellations because of wind. Safety is number one. 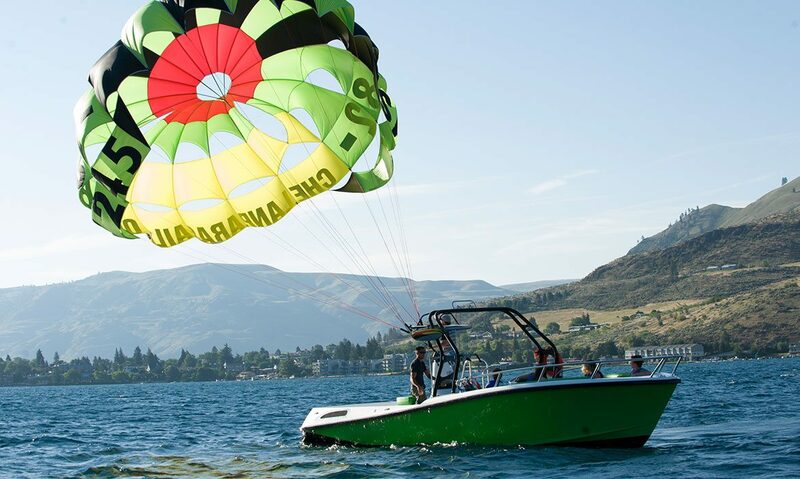 After 26 years of flying on Lake Chelan, history has shown us that afternoon winds do pick up where we have stopped flying 2 or 3 times a week for safety. 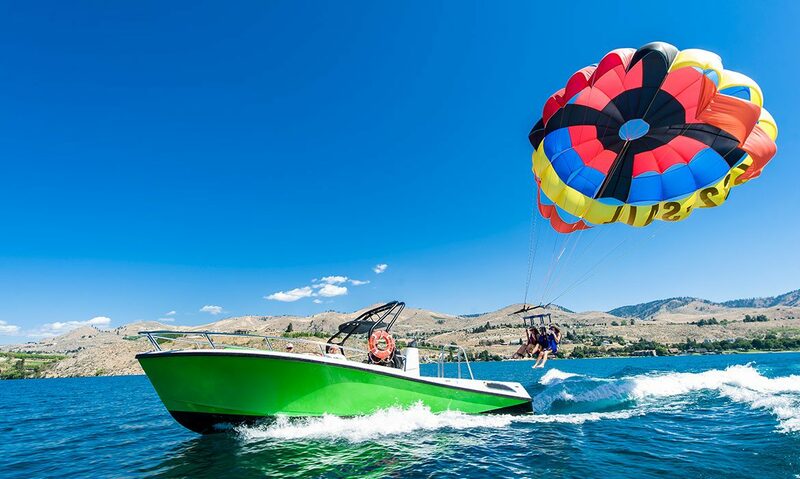 Contact Chelan Parasail & Watersports at (509) 682-7245 when you are searching for parasailing in Seattle. 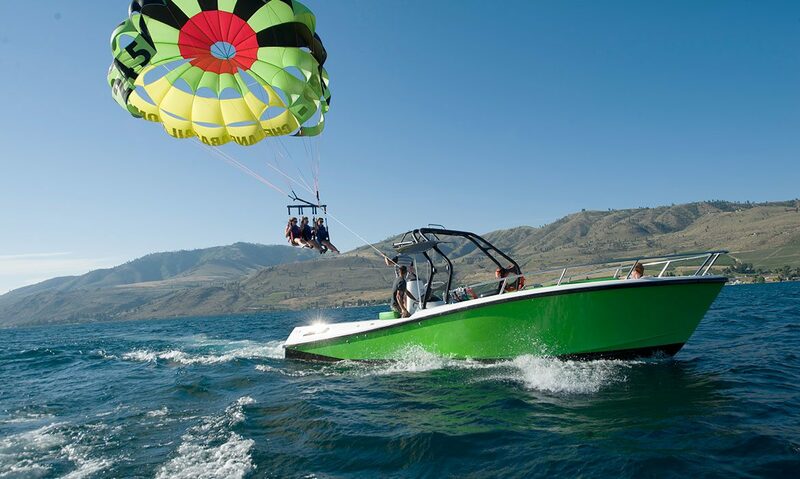 We are known for our parasailing trips, but we also offer other Lake Chelan rentals. 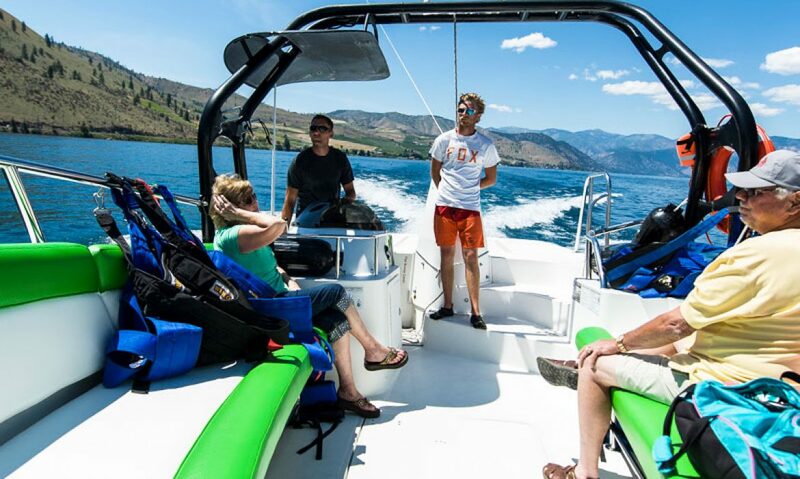 Join Washington's first parasail company on the beautiful Lake Chelan. 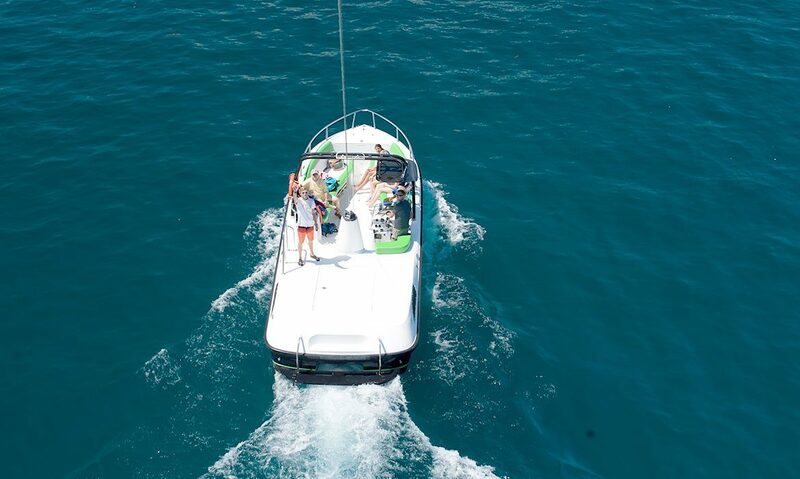 Watch the different ways you can explore the lake with a impressive selection of boats, jet skis, water sports, and parasailing!